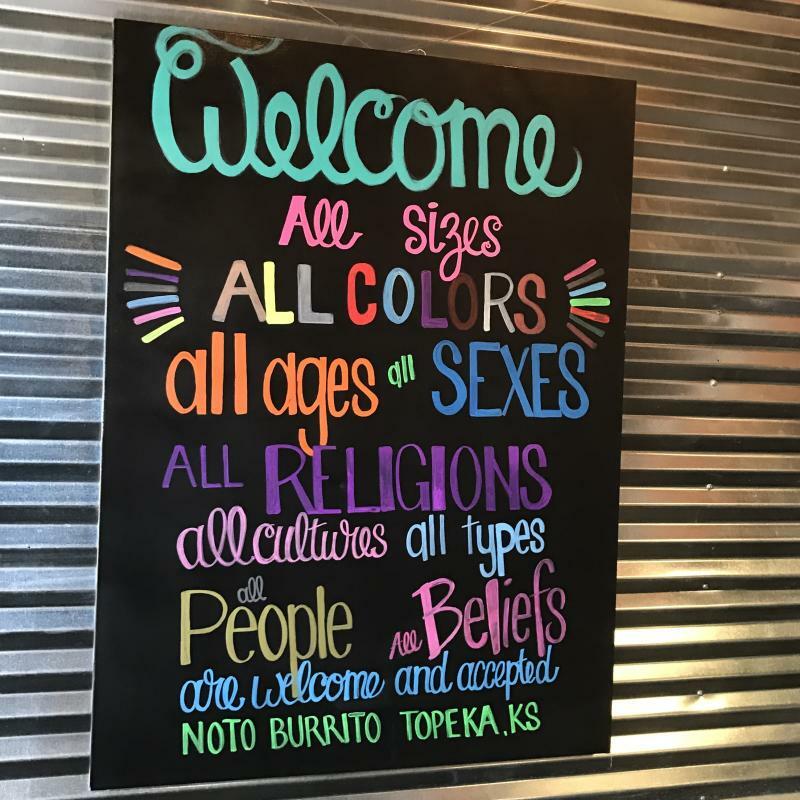 Full disclosure: 822 N. Kansas Avenue, home of NOTO Burrito and Bunker Coffee Company, is among my absolute favorite places in Topeka when I leave the house. Along with my husband and son, we’re in several times a month and have become friends with the proprietors. I get that “Cheers” feeling every time we visit. 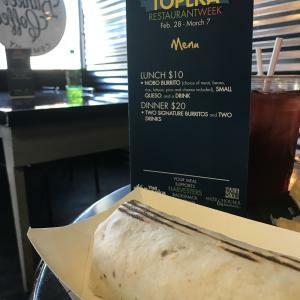 The fact I already love NOTO Burrito gave me all the more reason to be thrilled that the NOBO Burrito is being offered as a lunch special – and a pair of signature burritos for supper – during Visit Topeka’s inaugural Topeka Restaurant Week. My go-to is the Big-V and I’d honestly never had a NOBO before. Because I’m vegan, I substituted potatoes for meat (tofu is pricy, ya’ll!) and I was given a basket of chips since I nixed the side of queso, too. So, my NOBO was black bean, brown rice, lettuce, pico de gallo and potato. I added some strawberry jalapeño salsa as I munched, too. A fountain drink was included. The meal was delightful and I will certainly order a NOBO again. We’ll probably go back for dinner this week, too. Remember, $2 of every lunch and $3 from every supper purchased at a participating restaurant during Topeka Restaurant Week goes straight to the Harvesters BackSnack program. About 20,000 BackSnacks are provided each week in our community. Each BackSnack is a backpack full of kid-friendly, shelf-stable and nutritionally balanced food that help children from food-insecure families get through the weekend so they are ready to learn on Monday. Research shows that hunger is a detriment to academic performance and in-school behavior. Those who receive a BackSnack are more prepared and able to reach their potential. It’s hard to beat a good meal for a good cause.